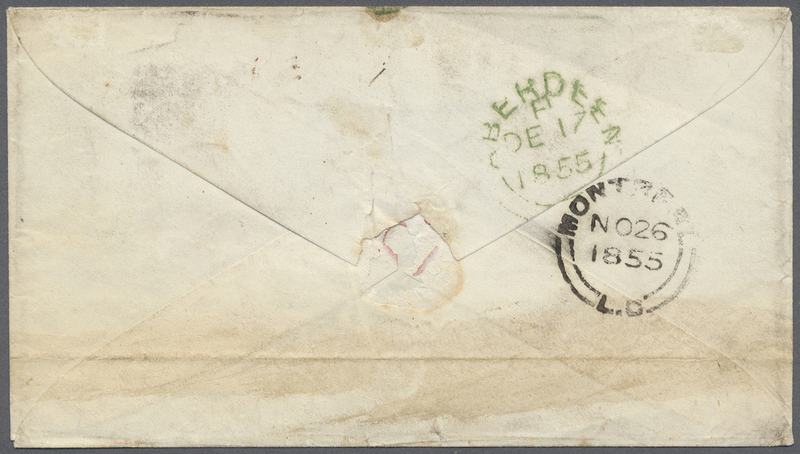 Canada - Vorphilatelie: 1855. stampless envelope addressed to Scotland cancelled by Point-Levi/L.C. 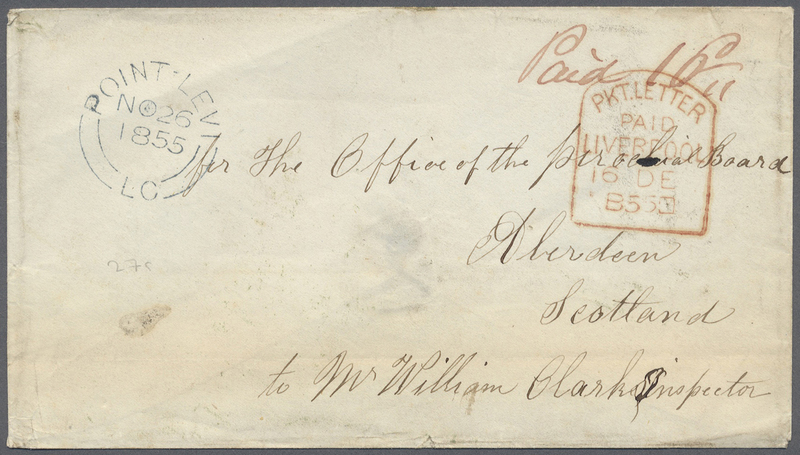 1855. stampless envelope addressed to Scotland cancelled by Point-Levi/L.C. date stamp 'No 26' date stamp, endorsed 'Paid 10d', routed via Montreal and Liverpool with framed 'Pkt. Letter/Paid/Liverpool/16 Dec/1853' in red on face with Aberdeen arrival. Attractive item with the boxed Liverpool used on Paid Packet Letters. Lot 7900 - Deutsches Reich heimatsammlungen - Auktionshaus Ulrich Felzmann GmbH & Co. KG Auction 165 | Philately, Airmail, Zeppelinmail and Astrophilately, international, German and collections.